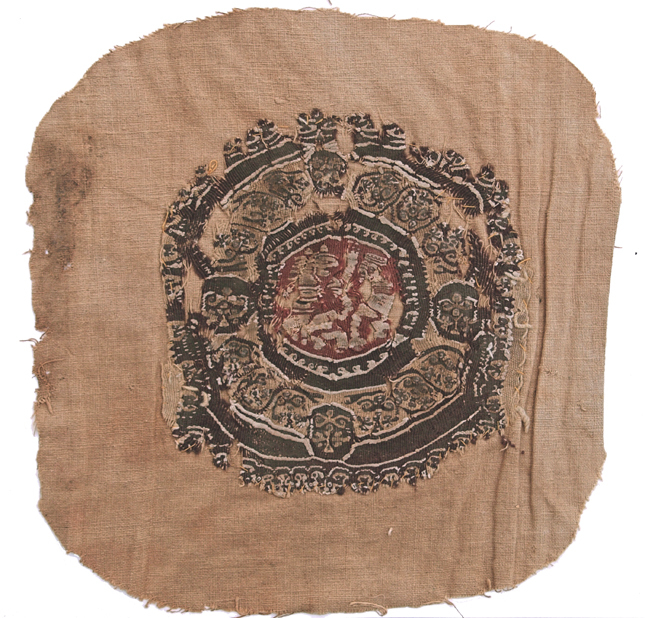 Found in the dry desert areas of Egypt, substantial numbers of Coptic textiles have survived. Most of them are fragments of the woven and embroidered garments in which the Copts buried their dead. Coptic textiles were made between the 5th and 11th centuries AD. Early examples incorporate Egyptian and classical motifs; later pieces show the influence of Byzantium and, later still, of Islamic art. Woven in wool and linen, they are admired for their bold pictorial designs and saturated colours. The Gallery warmly thanks Mark Shields for his generous help with this exhibition.